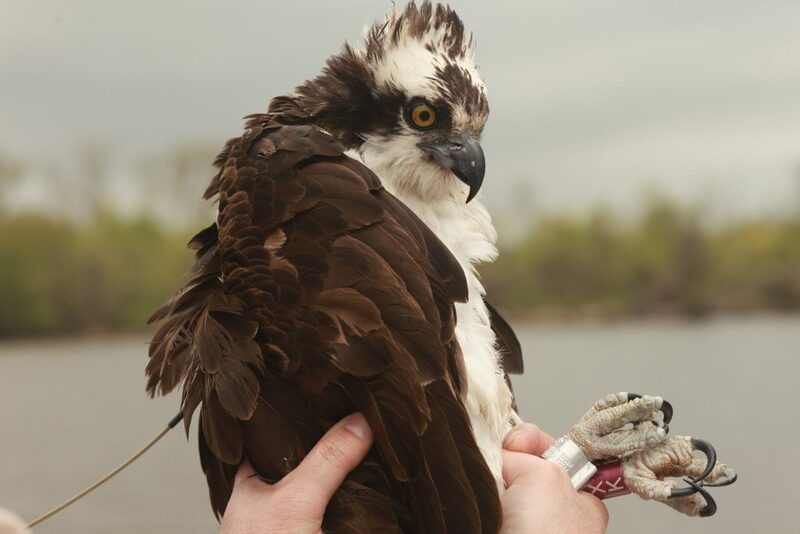 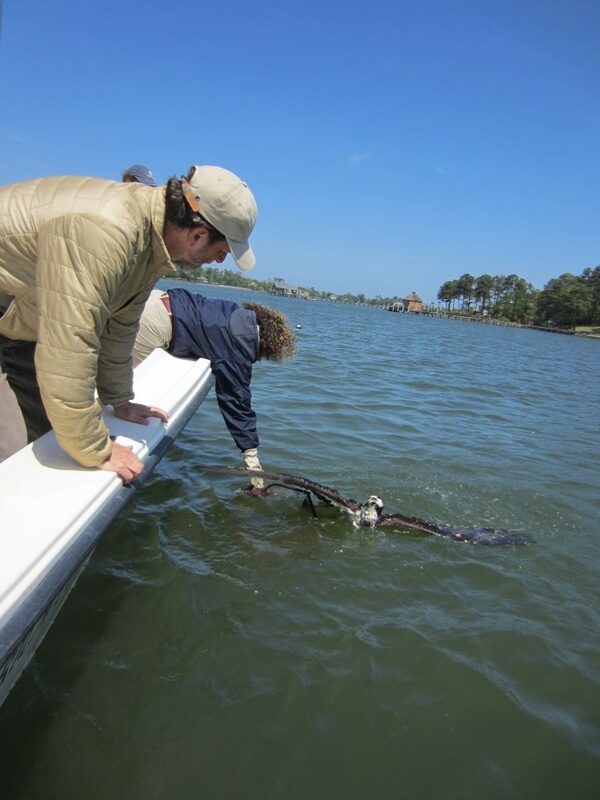 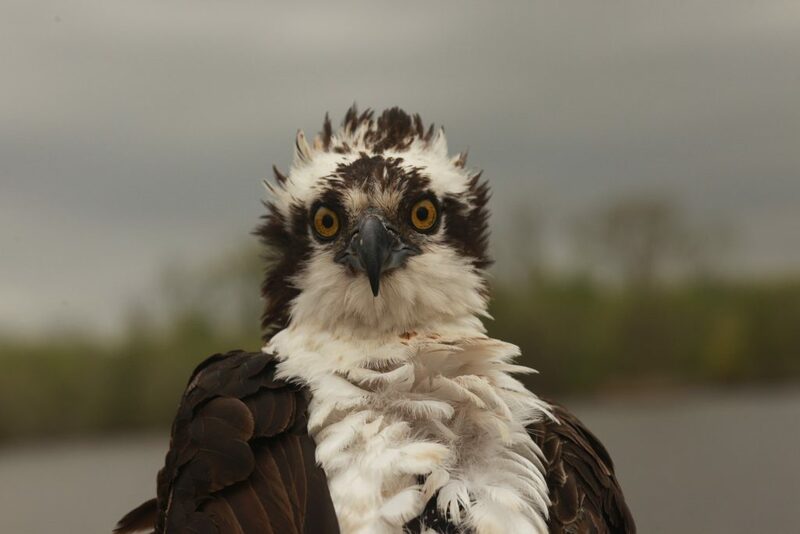 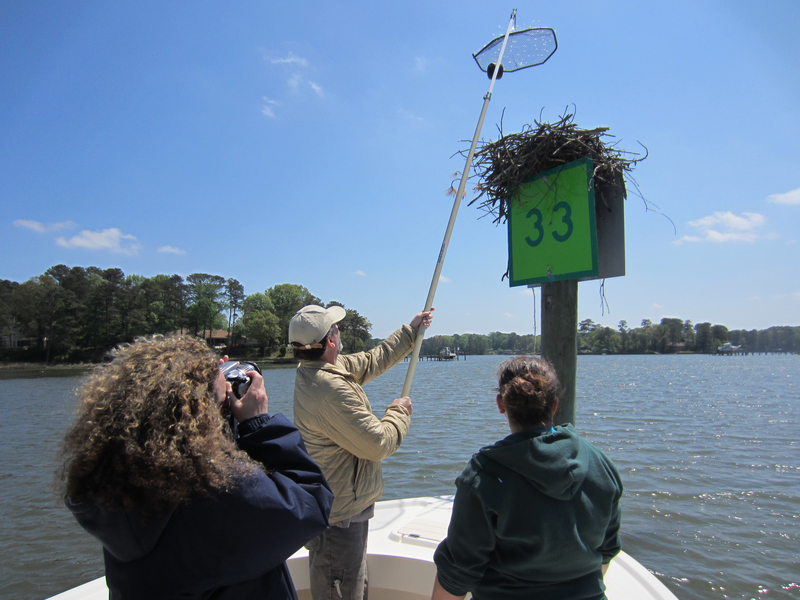 We are utilizing tracking technology to follow Osprey from their breeding grounds in the Chesapeake Bay to their wintering grounds in Central and South America. 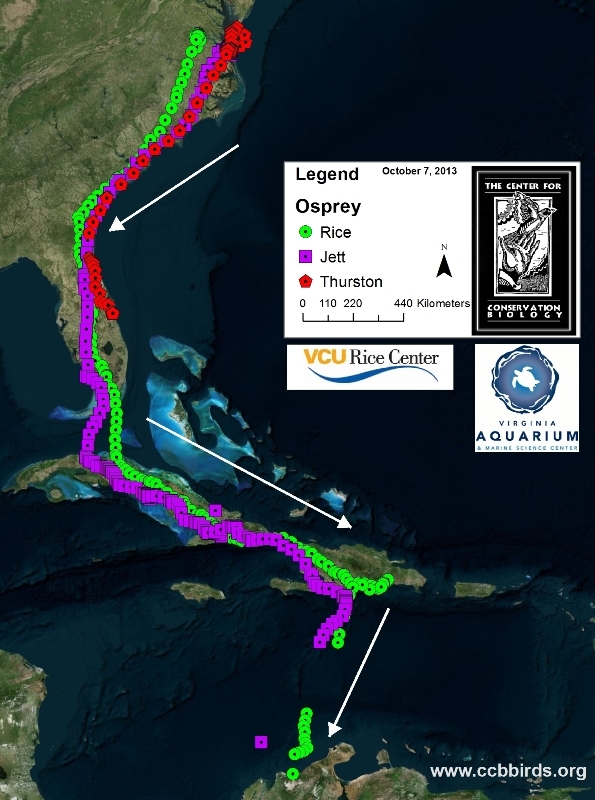 This project aims to 1) understand foraging behaviors on the breeding territory, 2) connect the summering and wintering ranges of the species, 3) examine migratory routes, and 4) identify threats to the species. 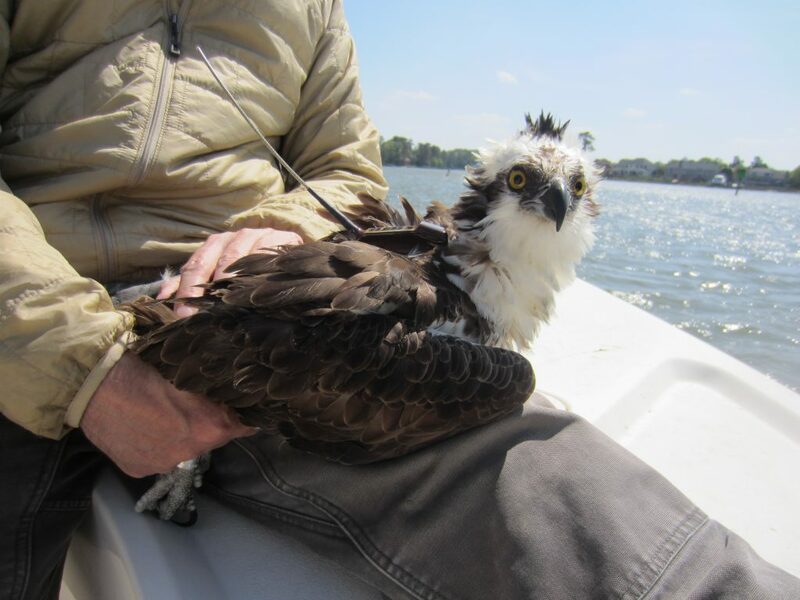 Photo by Reese Lukei, Jr.
Rice the Osprey was fitted with a GPS satellite transmitter on the James River, Virginia. 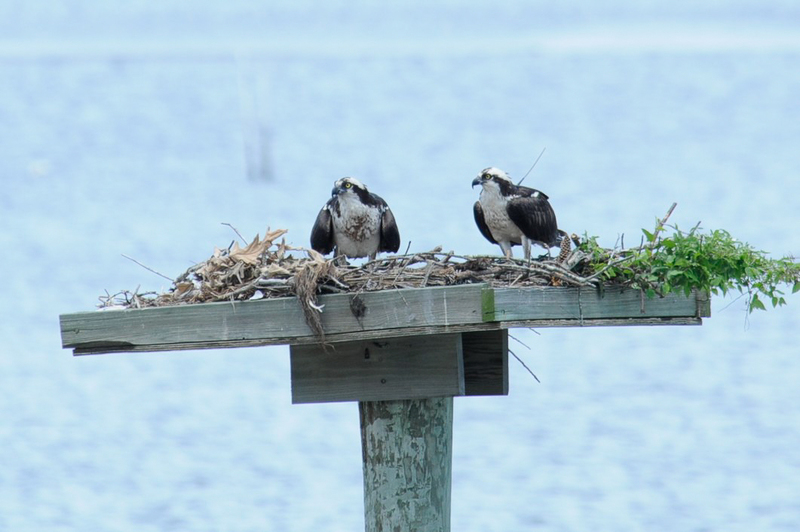 The Chesapeake Bay supports the largest Osprey breeding population in the world. 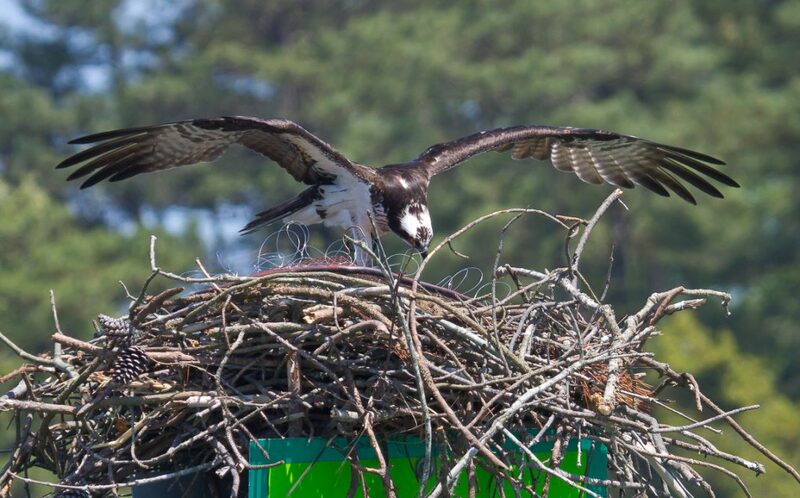 The population experienced a dramatic reduction due to biocide-induced reproductive suppression in the post-World War II era and reached an estimated low of 1,450 pairs by the early 1970s. 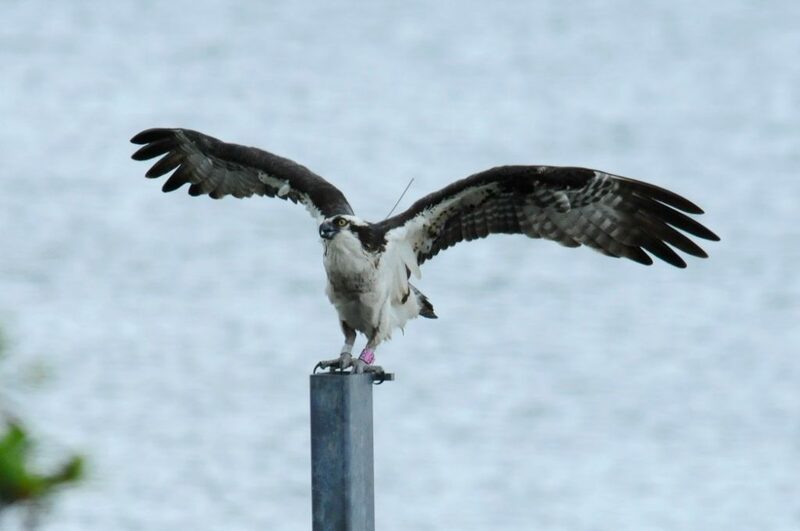 We now estimate the Bay population at 8,000-10,000 breeding pairs. Though the species is stable and increasing in North America, a number of anthropogenic threats continue to be of concern throughout its range including overfishing of prey by humans, hunting, and persecution at commercial fish farms. 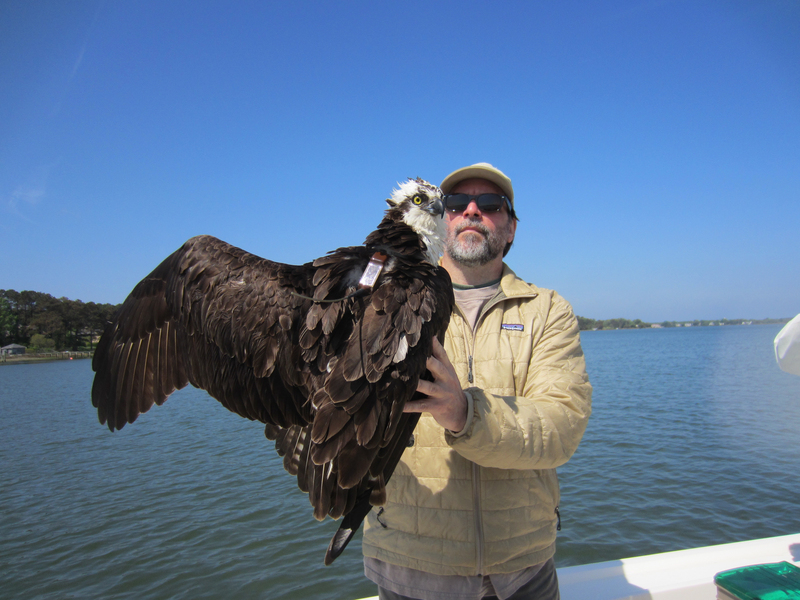 We tagged 3 adult males on their breeding territories in southeast Virginia in April 2013. 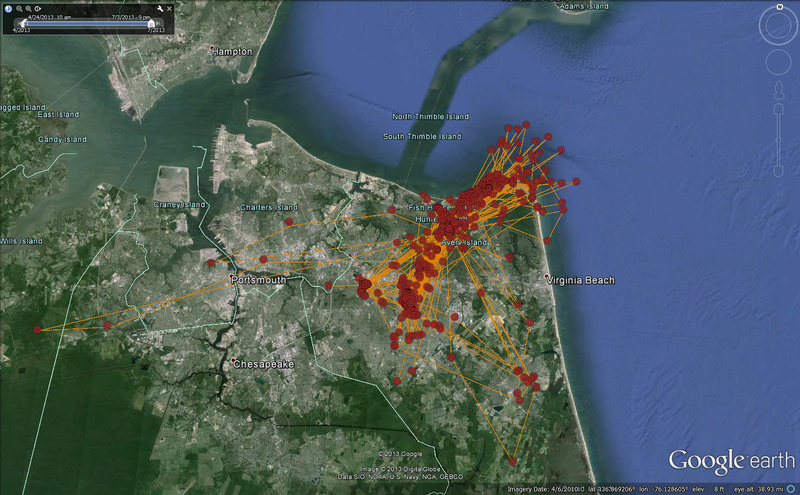 GPS transmitters record the location of the bird every hour. We blog regularly about the movements of the osprey.